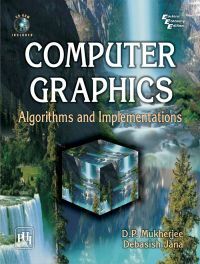 Intended as a textbook on graphics at undergraduate and postgraduate level, the primary objective of the book is to seamlessly integrate the theory of Computer Graphics with its implementation. The theory and implementation aspects are designed concisely to suit a semester-long course. Students of BE/BTech level of Computer Science, Information Technology and related disciplines will not only learn the basic theoretical concepts on Graphics, but also learn the modifications necessary in order to implement them in the discrete space of the computer screen. Practising engineers will find this book helpful as the C program implementations available in this book could be used as kernel to build a graphics system. This book is also suitable for the students of M.Sc. (Computer Science) and Computer Applications (BCA/MCA). To suit the present day need, the C implementations are done for Windows operating system exposing students to important concepts of message-driven programming. For wider acceptability, Dev C++ (an open source integrated windows program development environment) versions of the implementations of graphics programs are also included in the companion CD-ROM. This book introduces the students to Windows programming and explains the building blocks for the implementation of computer graphics algorithms. It advances on to elaborate the two-dimensional geometric transformations and the design and implementation of the algorithms of line drawing, circle drawing, drawing curves, filling and clipping. In addition, this well-written text describes three-dimensional graphics and hidden surface removal algorithms and their implementations. Finally, the book discusses illumination and shading along with the Phong illumination model. Includes fundamental theoretical concepts of computer graphics. Contains C implementations of all basic computer graphics algorithms. Teaches Windows programming and how graphics algorithms can be tailor-made for implementations in message-driven architecture. Offers chapter-end exercises to help students test their understanding. Gives a summary at the end of each chapter to help students overview the key points of the text. Includes a companion CD containing C programs to demonstrate the implementation of graphics algorithms. D. P. MUKHERJEE, Ph.D., Professor, Indian Statistical Institute, has authored a popular text on Computer Graphics entitled Fundamentals of Computer Graphics and Multimedia (PHI Learning) and published many peer-reviewed research papers. He has held visiting faculty positions at the Oklahoma State University, the University of Virginia, USA and the University of Alberta, Canada. Dr. Mukherjee is the recipient of UNDP fellowship to the University of Oxford, UK, UNESCO-CIMPA fellowships to INRIA, France and to ICTP, Italy, JSPS fellowship to Osaka University, Japan. He is the senior member of the Computer Society of India and IEEE, fellow of the Institute of Engineers (India) and had served on the Editorial Board of the IEEE Signal Processing Letters.|DEBASISH JANA, Ph.D. (Computer Science, Jadavpur University), is Manager, Software Development with TEOCO Software, Kolkata. He obtained his M.Math (CS) from University of Waterloo, Canada, B.E. (CS) from Jadavpur University and MBA (Finance) from IGNOU, New Delhi. Dr. Jana has extensive professional experience of more than twenty-seven years in IT industry, including PricewaterhouseCoopers, Anshin Software, Techna, and BFL Software. He has been serving as Visiting Faculty at Jadavpur University and BIT Mesra for more than sixteen years. A fellow of IETE and IE(I), senior member of IEEE, ACM, CSI, Dr. Jana has authored many research papers in national and international conferences and journals. He has served as an Editor of CSI Communications and edited several proceedings of international conferences. His other popular textbooks are Java and Object-Oriented Programming Paradigm and Computer Graphics: Algorithms and Implementations, both published by PHI Learning.